Contrary to what you may assume, I am not a very “crafty” person and never have been, probably because I have to make mistakes before I learn how to do things properly, I am very picky and fussy about the outcome, and my patience with myself wears thin quickly. Sound familiar? My life and livelihood revolve around my love for sea glass, travelling for sea glass and and sea glass jewelry making, and after almost 10 years in business I have a few things figured out! However, I don’t sew, knit, decoupage, paint, quilt, scrapbook, crochet or anything that might be considered crafty. 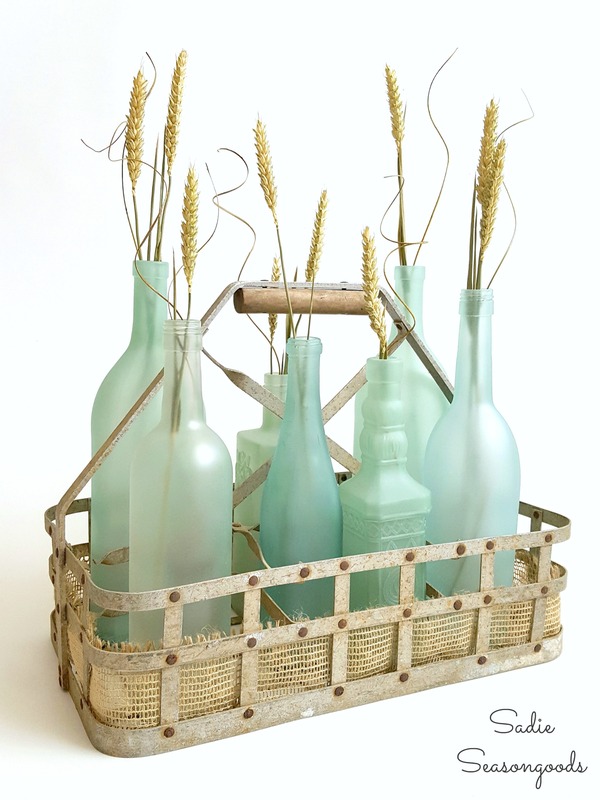 This could change if I take on this seemingly easy “Do It Yourself Sea Glass Bottle” project described below. I’ve just ordered the recommended paints (a sea glass spray paint, an etching paint and a clear spray polyurethane), all mentioned in the story, and now all I have to do is save some nicely shaped bottles, wait for the paints to arrive and for the right day to get crafty! Here is the beginning of the “how to” story. Simply click on the link for more!